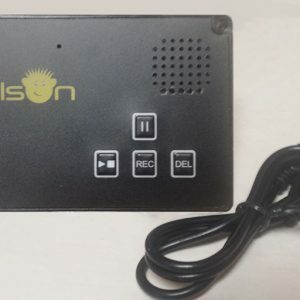 State-of-the-art mini digital voice recorder that is simple to use, feature rich, high-quality components with a built-in Li-ion rechargeable battery. 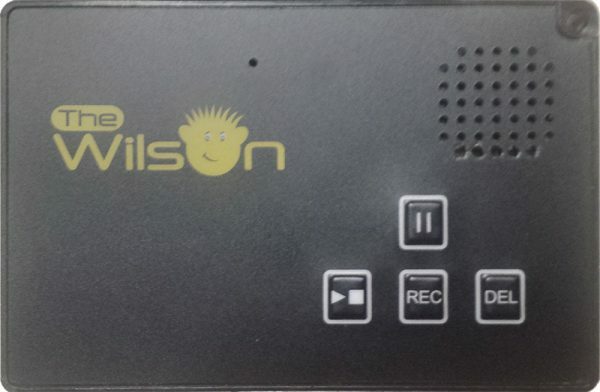 The Mini Wilson™ is currently out of stock. We are releasing a new & improved version very soon, please check back. 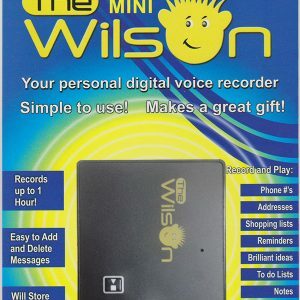 The Mini Wilson™ rechargeable recorder is a digital voice recorder which resembles a credit card. 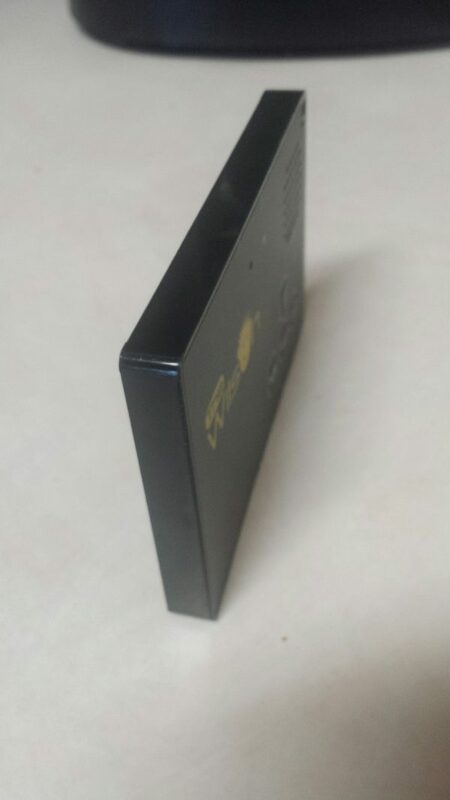 It can be attached to a keychain and carried comfortably in your pocket or purse. 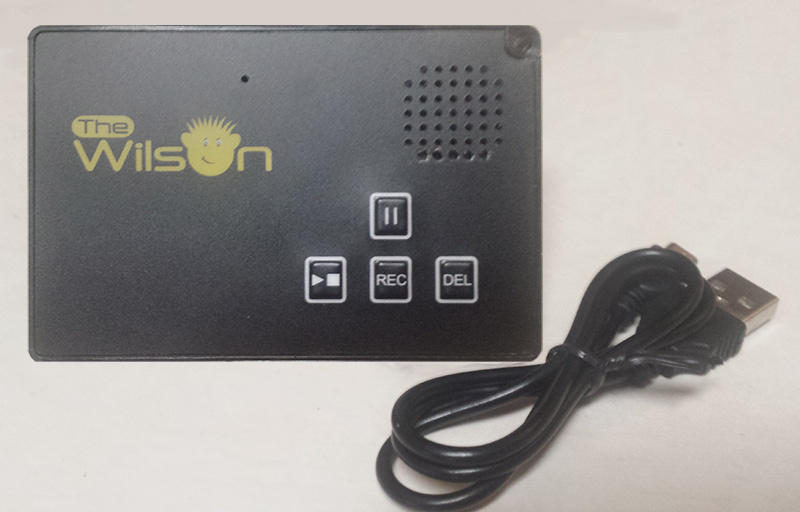 Our NEW version is feature rich and made from high-quality components with a built-in Li-ion rechargeable battery. Simply recharge the mini Wilson(TM) recorder from a USB connector on your computer or a USB adapter by using the included charging cable. 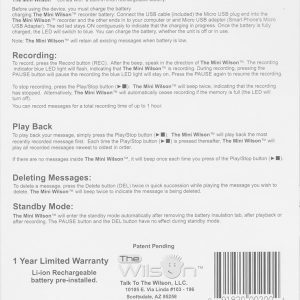 A red LED will indicate when charging is complete. 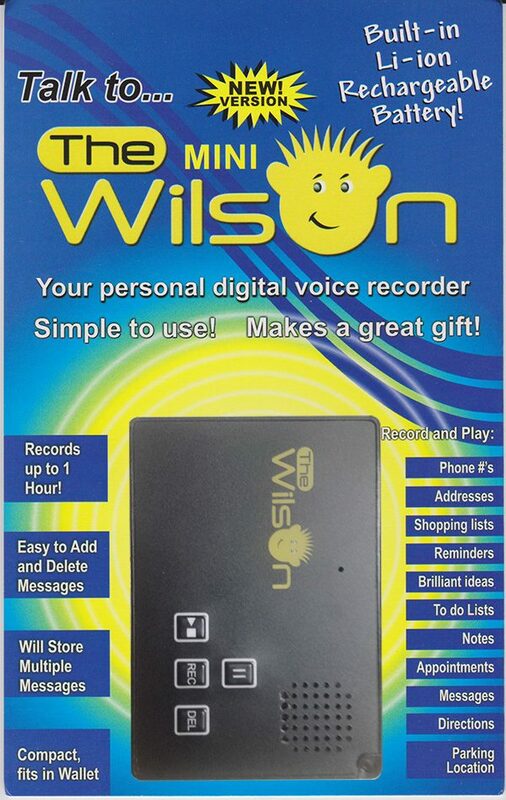 The mini Wilson(TM) can record for a total of one hour with no limit on the number of messages. 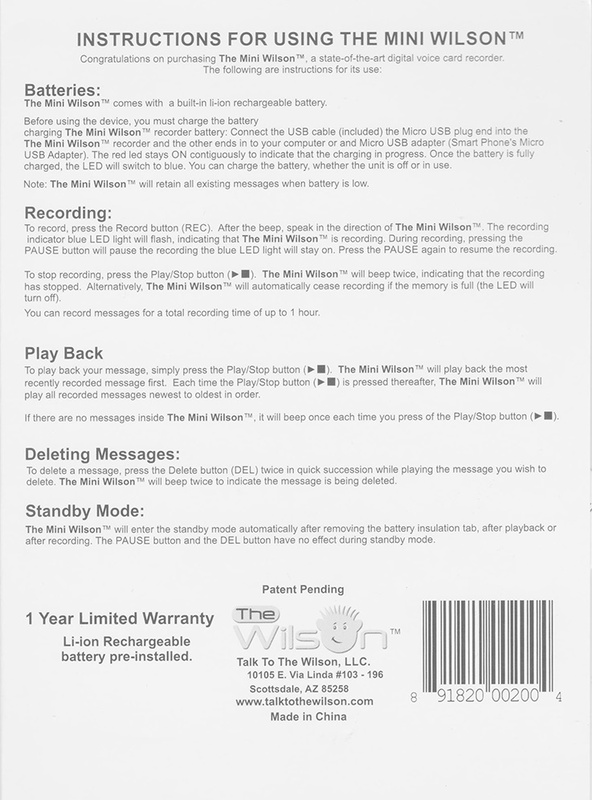 Your messages will never be lost even when the battery is low. The mini Wilson(TM) recorder is easy to control with only four buttons; Record, Pause, Play/Stop, and Delete. 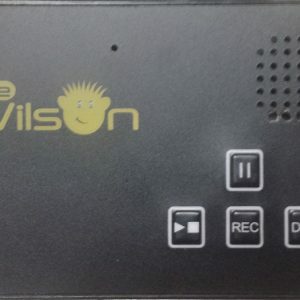 A beep tone and LED will tell you when recording is beginning and ending. 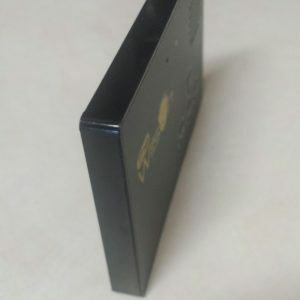 Records up to 1 hours!